The work of Joon Hee Kim is a contemporary object of record and communication conveying the new narrative of her personal moments. It reflects the persevering burden of human relationships, behaviours, and emotions, as collective anecdotes representing aspects of life, of both the standard and the mysterious. As transdisciplinary practice, the combination of contradicting elements will be laid out to observe the traditional and the modern, and life and death, navigating into culture’s contradictions and transformation of object into a new visual language. Often defined by their physicality, object forms convey both a sense of detachment and indifference. Joon Hee uses Baroque-inspired decoration to stretch beyond the traditional function and imagination of the viewer, and these concepts illustrate her hidden memories. With an engaging narrative, connections emerge between past and present. The aim is to metal-cast a variety of selective and personal found objects, cast objects are a great resource of the readymade, all reassembled, made to observe, reshape, and renew a familiar form. 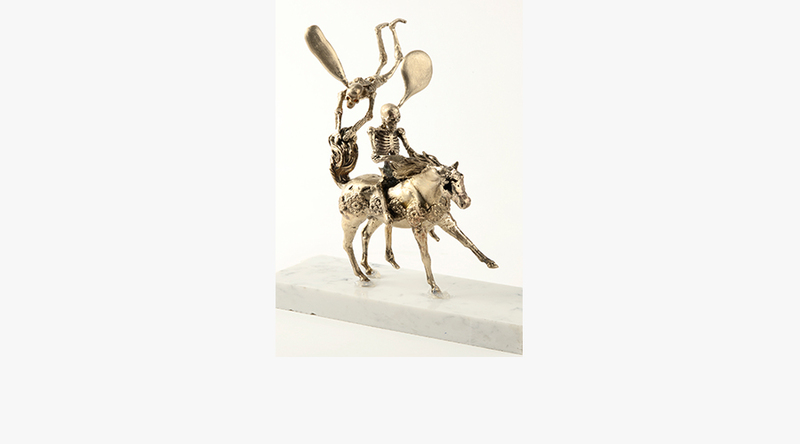 An original clay model is made, then transformed into metal by casting, creating a fascinating result as the texture of clay is rejuvenated on the metal, while preserving the spurs created when molten metal was poured into the molds. 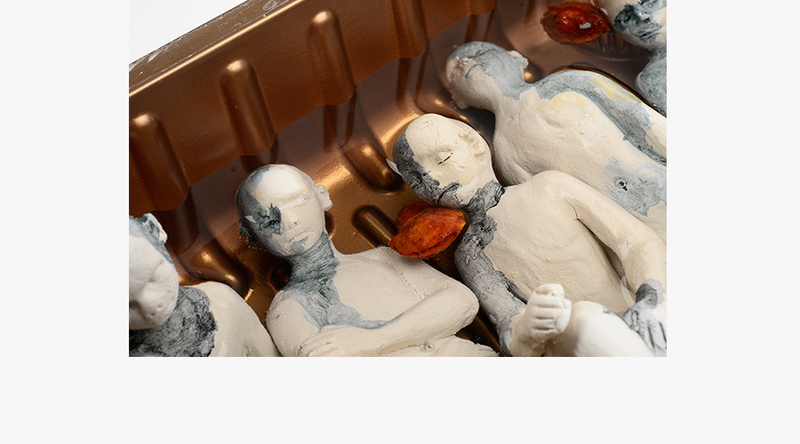 This multilayered process directs the role of sculpture towards becoming an innovative challenge. This process also creates narrative, while recognizing the object as a relevant tool to measure human existence and absence, by expanding from their original meaning, to rediscover and reassess the meaning of the object. 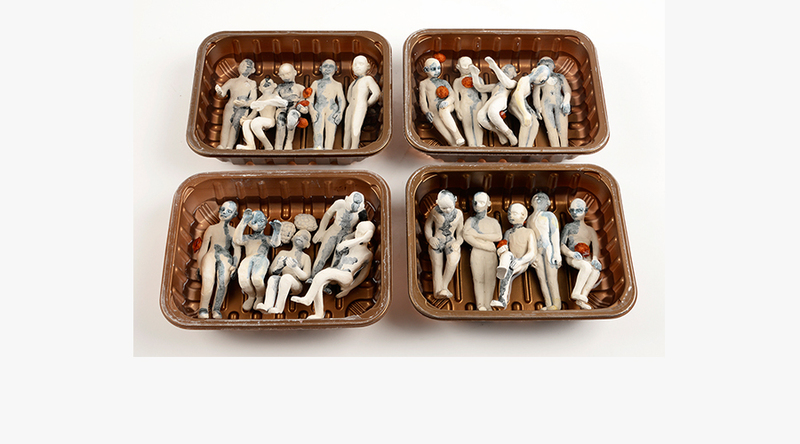 Sculptures that Joon Hee makes celebrate every moment of life, rather than the short glory of a monument. Through visual language that speaks of emotions and the bright moments that are often disregarded, these objects shape and engage with personal narrative. Joon Hee’s practice reflects the rebuilding of the ruins of life. The hope is to complete the race with a flourishing end.